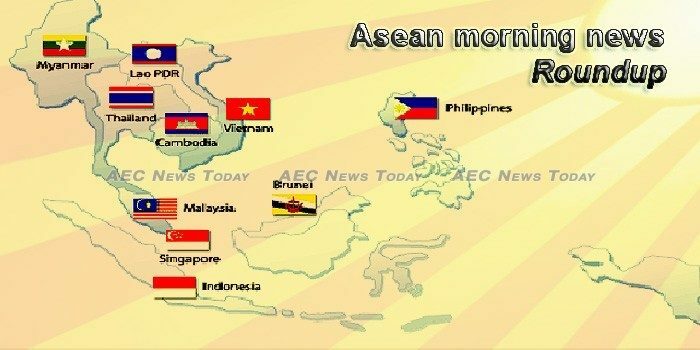 Thailand, as this year’s ASEAN Chair, will make an effort to include environmental affairs in the bloc’s more than 180 meetings. We will now take a closer look at the preparation for such conferences. Singapore and China have agreed to set up an international panel of mediators who will help resolve disputes arising from projects under China’s Belt and Road Initiative. Malaysia and Indonesia have pushed to defer the elevation of the Asean-European Union (EU) dialogue into a strategic partnership, citing members of the bloc’s action against palm oil and its economic repercussion to Asean member nations. The High Representative of the European Union for Foreign Affairs and Security Policy, Federica Mogherini, called for a “region-to-region free trade agreement”. Not long ago, many analysts said countries in Southeast Asia would gain from the trade war between China and the US. Criminal responsibility / At what age can you go to prison in Southeast Asia? The Philippines’ House this week approved a bill that would lower the minimum age of criminal responsibility to just 12 years, as the government bids to crack down on gangs using children for illegal activities. After grabbing record technology funding in 2018, Southeast Asia looks set to sustain the growth momentum in 2019 as Grab, Go-Jek, Tokopedia and Traveloka continue to attract capital, according to a report by venture capital firm Cento Ventures. The focus on Thailand’s elusive elections that would return it to democracy after nearly five years of military rule – set for March 24 as this was written – is warranted and significant in and of itself given the country’s tortuous political struggles since the early 2000s. Southeast Asian countries are beginning to transform the way energy is produced and consumed in order to transition to a low carbon, sustainable economy. The Maybank Foundation and ASEAN Foundation today launched the regional capacity building and orientation workshop of the eMpowering Youths Across ASEAN at Chulalongkorn University, Bangkok, targeted at 100 chosen young changemakers from the region who have gone through a rigorous selection process. Member states of the Association of Southeast Asian Nations are on a path to transform their power landscapes as energy demand continues to rise to match the region’s economic growth potential, a power management company said this week. ielsen and Alipay have partnered on a new survey, 2018 Trends for Mobile Payment in Chinese Outbound Tourism, that provides an analysis of the latest trends in outbound tourism and the consumption habits and preferences of Chinese travelers. With a slowing economy in China amid an ongoing trade war with America, China’s retail sales growth for 2019 is expected to decline to around 9%, says Hong Kong-based Fung Business Intelligence in its “China’s Commercial Sector” report. Following the 2019 Asean Foreign Ministers’ Retreat (AFMR) last week, member states have agreed to work on economic, social and security matters in an effort to achieve sustainability. Six villagers were arrested and one was left critically injured Thursday after authorities fired on a protest against the forcible eviction of residents from land in southwest Cambodia’s Sihanoukville province, in the country’s first violent police crackdown since a July election widely seen as unfree and unfair. Cambodia’s strongman premier Hun Sen on Thursday, January 24, called on his country’s military to “destroy” opponents if the government comes under threat, in a tirade in which he described himself as the “the one who steers the wheel” of the army. Bank Negara Indonesia (BNI) is preparing Rp3 trillion to Rp4 trillion for business expansion purposes this year. Among others, the bank plans to acquire a financial service entity in Indonesia. Ensuring that Laos’ natural environment remains unspoiled is key to attracting visitors, Deputy Prime Minister Sonexay Siphandone said when visiting Tham Namlod Xebangfay and Konglor caves in Khammuan province earlier this week. THE Lao government estimates that the revenue earned from foreign visitors will be $876 million this year, a drop of 2.63 per cent compared to last year. The Malaysia External Trade Development Corp (Matrade) has targeted a RM3.8 billion increase in export revenue from mid-tier companies (MTCs) under the Mid-Tier Companies Development Programme (MTCDP) in 2020 from RM2.5 billion recorded as at December 2017. Malaysia’s central bank kept its key interest rate at 3.25 percent on Thursday, as widely expected, with inflation subdued and economic growth supported by domestic consumption. MySalam, a national insurance protection scheme for the lower-income group, has been officially launched by Tun Dr Mahathir Mohamad. Power transmission lines measuring 104 kilometres (60 miles) and a substation that will serve Ponnagyun, Rathedaung, Buthidaung and Maungdaw townships in Rakhine State have been officially launched. Ayeyarwady Region, Investment and Directorate of Companies Administration, Director Soe Aung said that they had negotiations with car companies to build factories in Ayeyarwady Region. From October to December of 2018-2019 fiscal year, hotels and tourism sector saw an inflow of over USD 4.3 million foreign investments, according to Directorate of Investment and Company Administration. Rental rates and prices of industrial space in Singapore remained unchanged in the fourth quarter of 2018 over the preceding quarter, according to the latest data from industrial land agency JTC Corp. Competitive pressures from an increasingly crowded market will force local telcos to consolidate over the next three years, said analysts this week. Air pollution levels in Greater Bangkok improved on Thursday morning as only 11 areas reported unsafe levels of PM2.5 – airborne particulates 2.5 microns in diameter and smaller, the Pollution Control Department said. As detained refugee Hakeem AlAraibi spends his 59th night in prison, Thailand’s ambassador to Australia tells those concerned to “be patient and justice will prevail”.